Why pool vehicle management with Excel or Outlook is outdated. Oftentimes companies assume that using Outlook or even Excel to manage pool cars is the quickest method. In reality, the time that is invested handling exceptions and cleaning up could be used more efficiently. 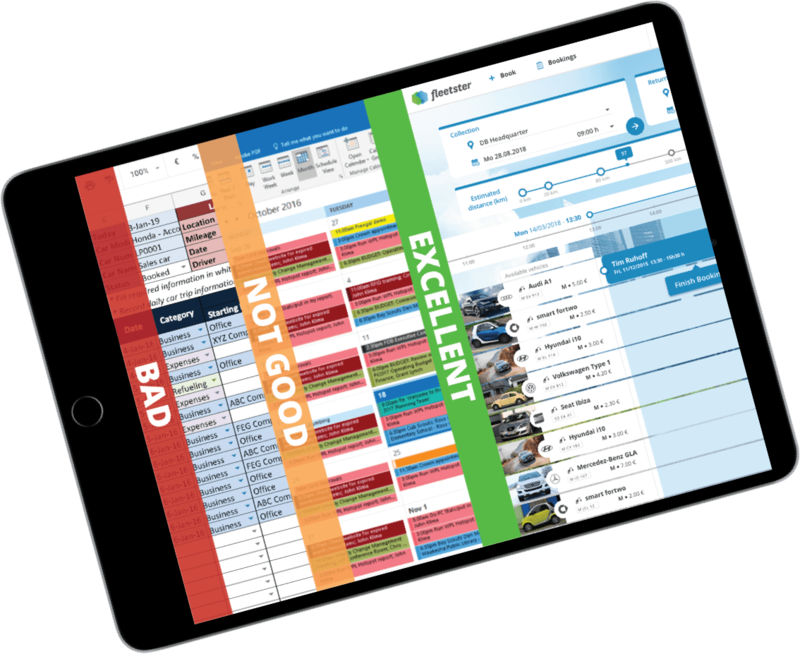 There are many reasons why companies should stop using Outlook and Excel for their pool car management. Users can book vehicles directly via their smartphone or the browser. Admins can restrict bookings by giving out only certain permissions or authorizing them later. Since a professional software uses specific roles with which you can exercise only certain rights, users can only see what they are supposed to see. All data is stored in a high security hosting facility in Frankfurt, Germany. "Renting" a car involves much more than just booking a time slot. Driver license check, damage documentation, running late, etc. neither one of these are covered by Outlook or Excel. 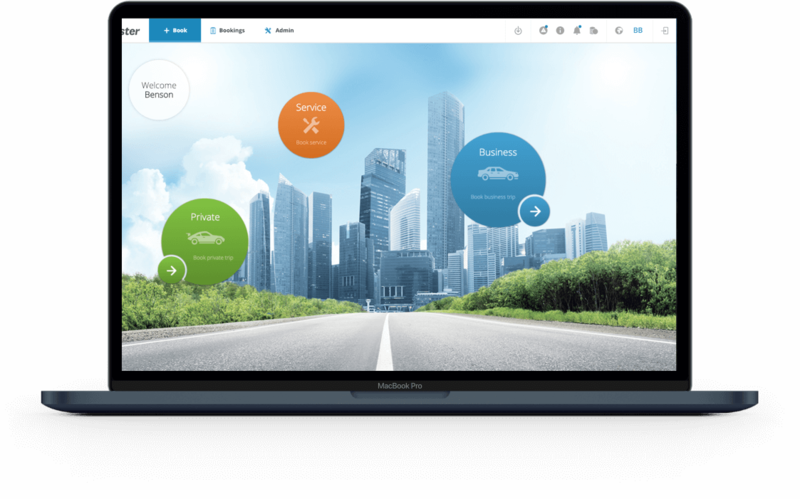 What are the 10 biggest differences that our Corporate Car Sharing software has to Outlook? Nothing is worse than a double booking on a vehicle. Especially with two important customer appointments. This scenario will not happen to you with fleetster since it is impossible for two people to book a vehicle at the same time. When a driver is late, fleetster looks for alternatives as a follow-up booking. If another vehicle is available, fleetster will rebook the trip so that it takes place despite the delay. If no other vehicle is available, a message is sent to the administrators so that they can respond and look for a solution. Give it a try yourself for 30 days! fleetster handles the key issue and return so no one loses track of where the keys are. The person responsible for the key management has all the information they need at a glance. Reports will show you potential savings. 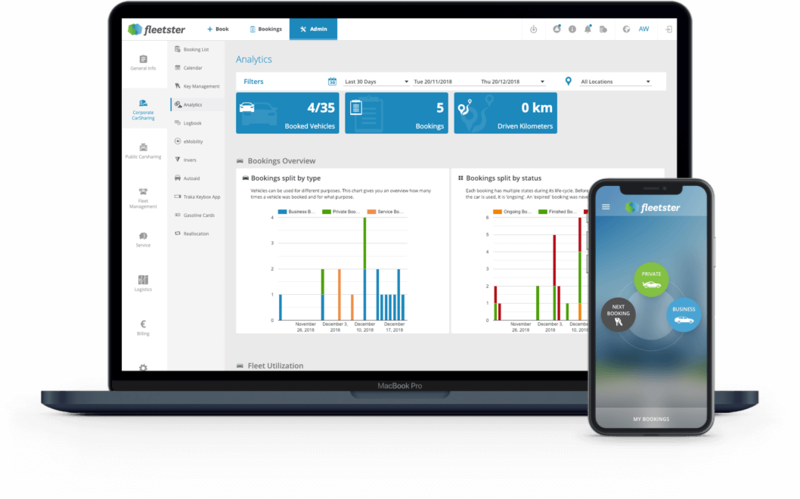 You will be provided with analytics in form of all the data of your fleet with just one click: how many bookings were made, how expensive they were, how many vehicles were needed, etc. 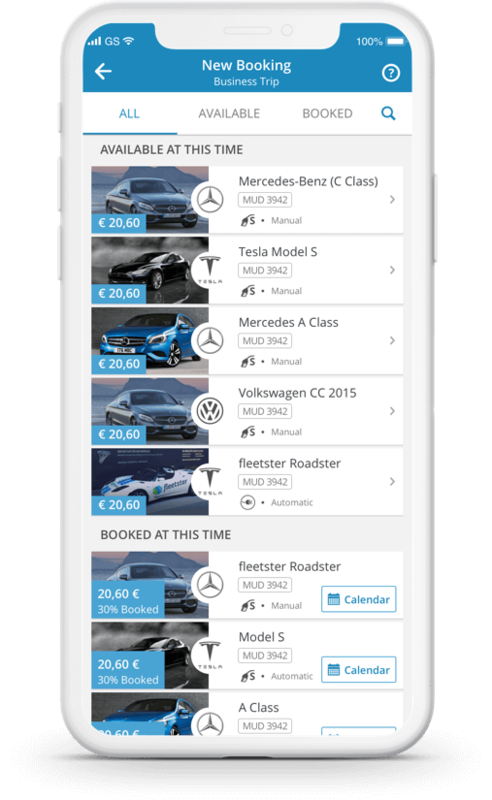 In fleetster you have all vehicle bookings at a glance and in the booking calendar you can move and arrange all bookings in the way that makes the most sense to all users and your company. fleetster is the solution for both your organisation and everyone who needs to book a vehicle in a simple and quick manner. The person in charge ensures that all drivers are required to do inspection on the driver's license before each trip or every 6 months. This process is firmly anchored in fleetster. Therefore, the software will send out reminder notifications. A recently implemented new function - the so-called "fleetster magic" - enables with the click on a button that all bookings are offered as cheap as possible. So you can save costs - without restricting your mobility. 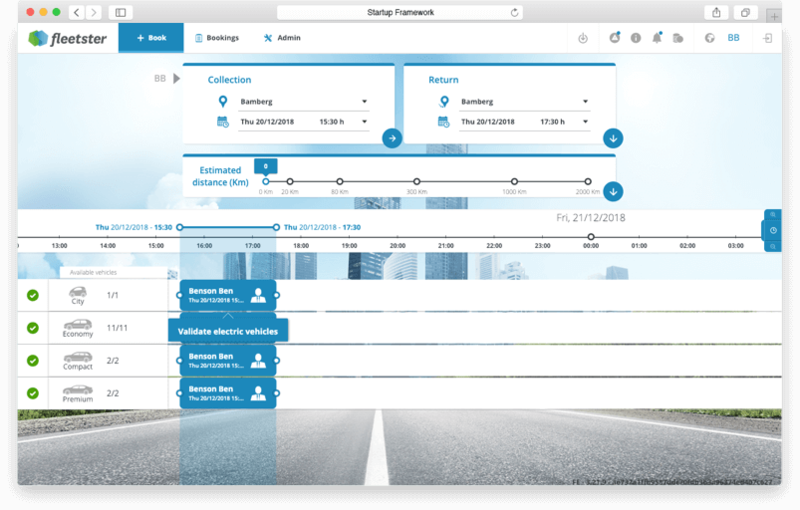 We are happy to show you all functions of fleetster in an online demo. Of course, you can test fleetster for 30 days free of charge. If you manage your trips via fleetster, you can export and print out your logbook at the end of the year. Alternatively you also have the option of having your employees book only specific vehicle categories. This is for your employees to see all booking details at a glance. They have the option to have all details sent as an Outlook appointment. If you find these benefits to be very appealing to you, we have good news for you: You can try fleetster now! Free of charge and with no obligation for 30 days.